Cook's Garden Favorite. We¹ve blended our favorite red, pink, purple and white radishes for a quick and beautiful addition to salads and party trays. 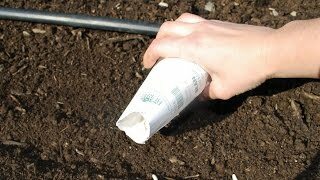 Sow every two weeks for bountiful harvests all season. Radish, Cook's Custom Blend is rated 4.2 out of 5 by 5. Rated 4 out of 5 by Scorpion King from Good results I grew 2 rounds of these indoors. The first round didn't do well at all, and I'm assuming it was because they were too crowded in the container they were in. However, the second round was much better... put them in a deeper container and thinned them out more and wow! these radishes grew very quickly (like 22-25 days) and tasted very fresh and delicious. Definitely recommend when given the right conditions. Rated 5 out of 5 by Gwendolyn76 from Grew well Grew these in the winter zone 10. They grew well and had a mild pleasant flavor. Rated 4 out of 5 by eandrusk from Grew well I was completely new to gardening last year and thought these would cheer up a very barren chicago balcony for early spring. I red a lot about growing your own vegetables in a city and thought I’d give it a go. They were super easy to start and you can see what they looked like in May of last year after about a month. I probably should have trimmed the tops more often so the roots would have developed more. In a busy month of work though, I never got around to eating them and eventually reused the container for another perennial. This year I’m going to use he rest of the seeds and if they sprout, this year I’ll be sure to eat them! 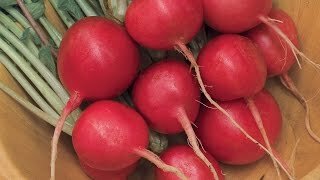 Rated 5 out of 5 by rokonrae from Great variety of radishes This radish blend was great! I will be buying more seeds. There are three round varieties: white, red and pink, and one reddish oblong type. These were all for my husband (I don’t eat radishes). He says the pink and the oblong ones were pretty good and the red ones “had some heat.” The white ones really didn’t have a flavor, but we got less than 5 of those ones out of the 300 seeds. Germination rate is very high, but radishes don’t like to be too warm. I planted about 50 seeds mid-summer. Little green heads started popping up and then they all disappeared. Maybe it just got too hot for them? I would recommend these seeds! Rated 3 out of 5 by trailerhoodfarm from Grows quickly,Mild Flavor We started the seeds in a raise bed after Mothers Day. They were ready to harvest after 3 weeks despite our crazy Colorado weather. We were able to harvest all the varieties but they were a little mild for our taste. These are perfect for those who do not like the spicier radishes.